For two years, beginning in 1988, Jonathan Kozol visited schools in neighborhoods across the country, from Illinois to Washington D.C., and from New York to San Antonio. He spoke with teachers, principals, superintendents, and, most important, children. What he found was devastating. Not only were schools for rich and poor blatantly unequal, the gulf between the two extremes was widening—and it has widened since. The urban schools he visited were overcrowded and understaffed, and lacked the basic elements of learning—including books and, all too often, classrooms for the students. 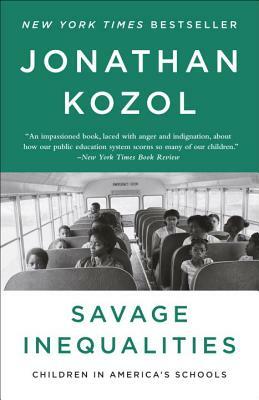 In Savage Inequalities, Kozol delivers a searing examination of the extremes of wealth and poverty and calls into question the reality of equal opportunity in our nation’s schools. Jonathan Kozol is the author of Death at an Early Age (for which he received the National Book Award), Savage Inequalities, Amazing Grace, and other award-winning books about young children and their public schools. He travels and lectures about educational inequality and racial injustice.